The future is INDOOR MAPPING. Nowadays navigating using GPS technologies for outdoor travelling are commercially available for all users. 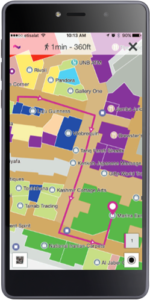 Indoor Mapping helps to locate your routes indoors, that is, inside malls or huge multistory office buildings, using Bluetooth or other sensory waves collected by a beacon. These information are translated into user friendly smart real time maps giving the customers a completely new experience of shopping or finding your way in a long building and never getting lost. How Does Informap Indoor Mapping Works? Our mapping system is designed to generate a geometrically precise three-dimensional detailed model of an unknown indoor environment. The indoor surfaces and features can be mapped from images acquired by a unique configuration of different types of optical imaging sensors and positioning beacon devices. This configuration ensures that all the information required to reconstruct the three-dimensional environment is included in the collected images. Mall/Facility managers can analyze visitor foot prints and visualize visitor density on maps and charts. 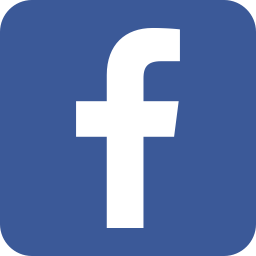 Restrict access to confidential information. This economy edition is most common and provides basic functionality of indoor map. 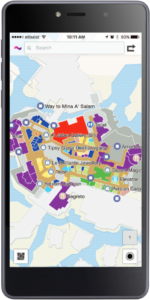 Allows switching to multiple floor-map, search for a store or a facility and view on the map with associated information. Users can specify source and destination to generate route and get turn-by-turn directions. Hybrid by using phone functions and installing beacons in selected tight corners where there is signal hindrance. 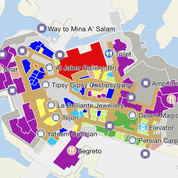 In this edition of indoor map, the mall manager is able to visualize the customer footprints to various stores. Further analysis is possible to find the stores that have higher footprint in order to compute the value of various stores. This edition also allows sending push notifications to customers in real-time on sales and other promotions or activities. 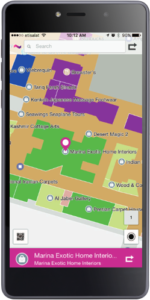 This edition requires installing blue tooth beacons in the entire indoor map area, approximately one every 50-100 meters.This indoor map provides the most accurate version of indoor blue dot positioning and the richest user experience for indoor navigation. We are using Mitrack to assign car washing tasks for our teamleaders wih the exact location. We are able to measure the time spent by each team member in carrying out the task. The Report helps us bill the customer. Using MiTrack and iTrack software for scheduling our drivers has been very easy. All our managers now put the task into the dropbox of the Fleet Manager. He then assigns the task to the right driver and update on itrack. We are able now to track our task in real time. I have used MiTrack and iTrack software for tracking our field staff. We are able to find their location in realtime along with the tasks done. We don't need to call our staff everytime and the technicians also feel happy that they are not being disturbed during work. Their engineers are knowledgeable and helpful and quick to offer solutions to meet our needs.Their innovative finger print GPS solution (FPR) has solved my unseen problem. They make sure get the job done. Quality work and professionalism are why I chose to work with Informap. The whole experience through the project has been great. 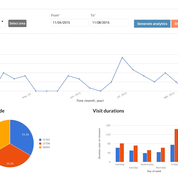 With a number of unnecessary expenses under my control, I’m very happy with the tracking system. © Copyright 2019 , Informap Technologies - All Rights reserved | Legal terms.